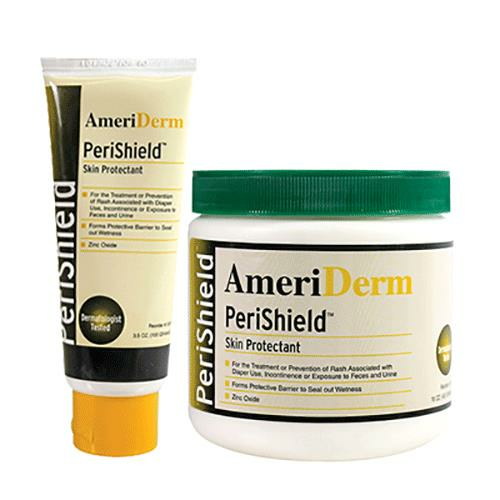 AmeriDerm PeriShield Skin Protectant Ointment is a moisture barrier ointment that acts as a skin protecting cream to seal out moisture. An ideal rash treatment, enriched with Vitamins A, D, and E as well as Aloe and Zinc Oxide to help prevent and treat diaper rash due to incontinence. 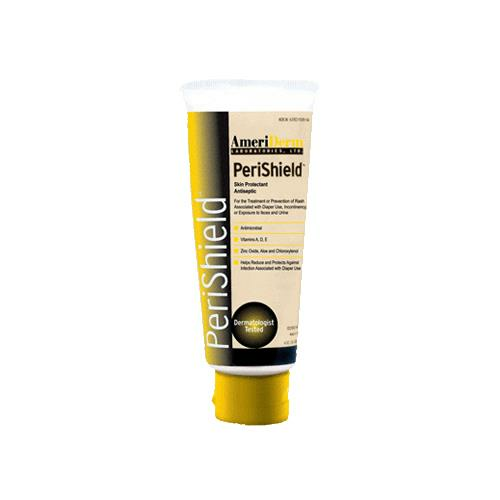 Easy to apply and remove, the Perishield is an antimicrobial skin protectant that has a baby-fresh scent.